This version of NSU News has been archived as of February 28, 2019. To search through archived articles, visit nova.edu/search. To access the new version of NSU News, visit news.nova.edu. This version of SharkBytes has been archived as of February 28, 2019. To search through archived articles, visit nova.edu/search. To access the new version of SharkBytes, visit sharkbytes.nova.edu. 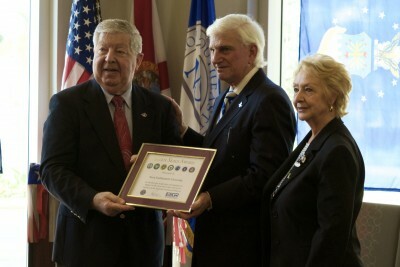 NSU President George L. Hanbury II (center) poses with guests and officials as the university receives the Seven Seals Award. 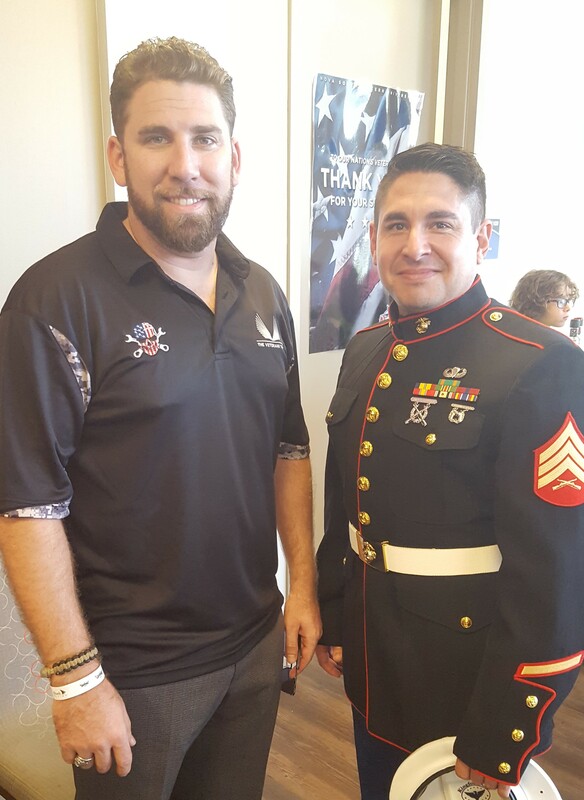 On Friday, Nov. 11, Nova Southeastern University welcomed students, faculty, alumni and special guests for a ceremony in honor of Veterans Day. The event was complete with the presentation of Colors by the Broward Sheriff’s Office Honor Guard and remarks by invited guests, including Lee Hediger, chairman of The Veteran’s Trust; Peter Caspari representing the Department of Defense; Carlos Garcia, Psy.D., College of Psychology alumnus and veteran; and NSU President George L. Hanbury II, Ph.D.
NSU is home to approximately 1,000 student veterans and has been working hard to make itself a veteran-friendly school. 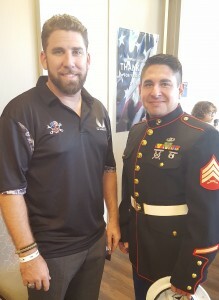 Part of those efforts were seen last year as NSU dedicated its remodeled Veteran’s Resource Center – a one-stop shop where student veterans can get information on all the resources available to them. From counseling to tutoring to academic advisement, this center serves as a model for other schools to emulate, and was recently recognized in G.I. Jobs magazine. A special presentation was made at the event as NSU was honored with the Department of Defense Seven Seals Award – NSU is the only educational institution to be so honored in Florida. This is the broadest and most inclusive award bestowed by the Employer Support of The Guard and Reserve (ESGR.) It recognizes significant organizational achievement, imitative and support that promotes the ESGR mission. The ESGR is a DOD program that develops and promotes supportive work environments for service members via outreach, recognition and educational opportunities.